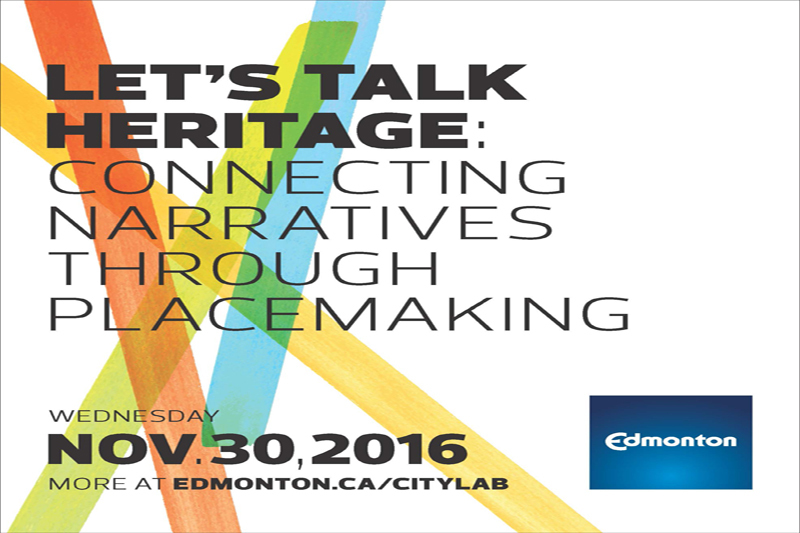 Let’s Talk Heritage: Connecting Narratives Through Placemaking was held on November 30, 2016 in collaboration with the City-Region Studies Centre and the Edmonton Heritage Council. Dr. Kevin Jones from the City Region Studies Centre, moderated the panel. City of Edmonton Chief Planner Peter Ohm, Mayor Don Iveson, and Dean Katy Campbell offered opening remarks and welcoming statements. This event also highlighted the work on the City’s River Crossing Heritage Interpretive Plan.